The Pashtun community continues to push for freedom from Pakistan. 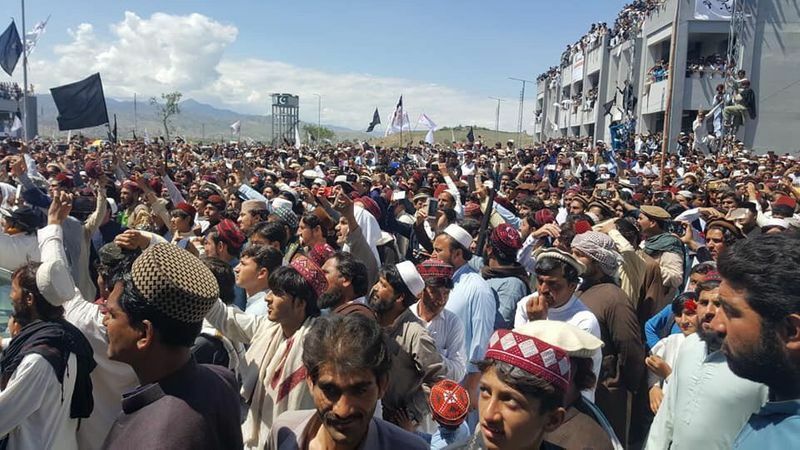 After the huge success of first ‘Pashtun Long March’ organised to protest against the killing of Pashtun activist and professor Arman Luni, the community once again held another march, ‘Pashtun Long March 2’. New Delhi: The pro-freedom Pashtun leadership in Pakistan has decided to boycott parliament and the democratic process in the terror-sponsoring country. They alleged that in the “political realm of Pakistan” “politicians have been used and misused and parliament itself has been a rubber stamp”. The announcement came from the Europe chapter of the Pashtun Tahafuz Movement (PTM) and endorsed the decision of Pashtun leader masher Manzoor Ahmed Pashteen of “keeping PTM out of parliamentary politics”. “PTM Europe categorically reject any involvement in parliamentary politics. It will be a national disaster if PTM steps into parliamentary politics and will have adverse impact on the movement which has awaken Pashtuns for their rights from every wake of life under one umbrella,” PTM Europe said. The PTM is the chief organisation of the Pashtun freedom movement against Pakistan fighting the “atrocities and human rights violations of Pashtuns over the last few decades in Pakistan”. Meanwhile, the Pashtun community continued to push for freedom. 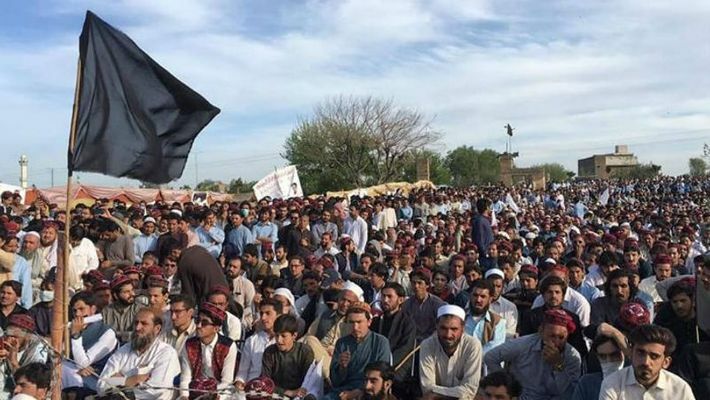 After the huge success of first ‘Pashtun Long March’ organised to protest against the killing of Pashtun activist and professor Arman Luni, the community once again held another march, ‘Pashtun Long March 2’. The Pashtun marches have challenged the Pakistani establishment and the ISI. On the other hand, now the Shias of the Pakistan have raised the demand for a separate nation from Pakistan. A massive protest rally was organised by the minority Hazara community after a bomb blast ripped through a fruit market in Quetta of Balochistan province in Pakistan. In all, 24 people lost their lives in the blast for which the Pakistani Taliban and Sunni terror group Islamic State claimed joint responsibility. Quetta is situated close to the Iranian border with Pakistan.